A client had a legacy product whose function was to detect the ability of an infant to hear. We were tasked with updating the design and lowering manufacturing cost, while createing an enclosure that was user friendly and had an intuitive user interface. The result was a product that enjoyed widespread market success. The device utilizes Tympanometry. 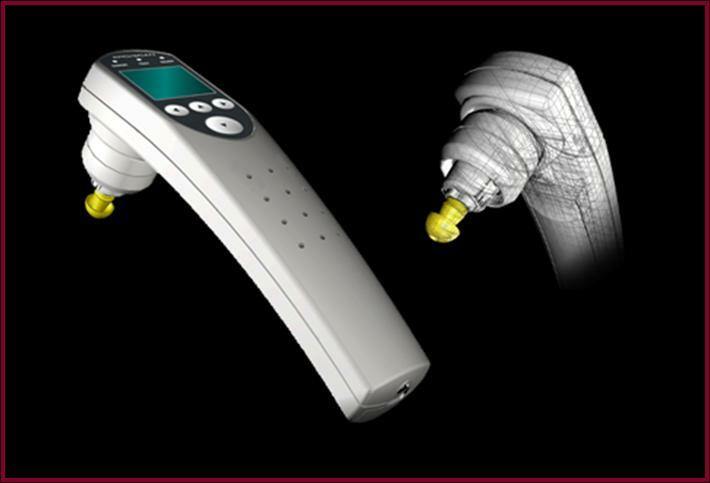 Tympanometry is the objective measurement of middle ear mobility (compliance) and pressure within the middle ear system. Tympanometry provides a snapshot of middle ear status. Otoacoustic emissions (in the presence of normal middle ear function) provide information regarding the health of the outer hair cells of the cochlea. Acoustic reflex measurements measure the function of the inner hair cells and neural pathways to the point of the lower brainstem. Thus, a detailed picture of the auditory system can be painted with one probe fitting and a single button press.